This year’s Washington State Horsemen Convention is slated for November 8-10, 2019 in Bellevue, WA at the Red Lion Hotel. We invite all members to join us for the festivities, awards, meetings, and more! 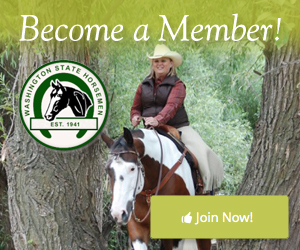 This is your organization and your opportunity to have your voice heard in shaping the future of Washington State Horsemen.